The U.S. Environmental Protection Agency unveiled two options today to regulate coal ash waste from coal-fired power plants, amid concerns by environmental groups that one of the options would not be strong enough to protect North Carolina's waterways. The competing alternatives would provide varying levels of protection to the state's water resources, and could take years to implement. "Coal ash impoundments have been minimally regulated in the past. These proposed new rules are a long overdue, positive first step towards helping to protect our water and our communities," said Donna Lisenby, Upper Watauga Riverkeeper. The announcement comes eight months after an independent analysis confirmed that all thirteen of the North Carolina's coal ash ponds adjacent to coal-fired power plants were leaking toxic pollutants into groundwater. Data research conducted by the Upper Watauga Riverkeeper revealed 681 instances where levels of heavy metals and other pollutants ranged from 1.1 to 380 times higher than North Carolina's groundwater standard. "The time has come for common-sense national protections to ensure the safe disposal of coal ash," said EPA Administrator Lisa Jackson. "We’re proposing strong steps to address the serious risk of groundwater contamination and threats to drinking water and we’re also putting in place stronger safeguards against structural failures of coal ash impoundments. The health and the environment of all communities must be protected." The Subtitle C proposal would designate coal ash as a hazardous waste, while Subtitle D would regulate coal ash under a non-hazardous waste designation. With a hazardous-waste designation, wet coal ash ponds—also known as surface impoundments—would be phased out, a process that would be monitored by the states and by the EPA. Dry ash storage units would require the installation of composite liners, with retrofits of all units due within five years after the rule is finalized. Subtitle C would also enable the EPA to enforce federal regulations to ensure these requirements are carried out. Under Subtitle D, or non-hazardous regulation, the EPA would require wet coal ash impoundments to be retrofitted with a composite liner, rather than being phased out. If the disposal site chooses not to comply, the regulation would prohibit receiving additional coal ash, and require the closure of the unit within five years. The closure process and post-closure groundwater monitoring would be self-implemented, with no federal or state oversight. Both designations would leave in place the rule allowing coal ash to be recycled in what are called beneficial uses, such as drywall, concrete and other construction materials. Both options would also prohibit coal ash disposal in unlined landfills, although disposal in old mining sites would still be allowed. The announcement comes after the EPA failed to meet self-imposed deadlines in the past concerning the designation of coal ash as a hazardous substance. "Regulating coal ash as a hazardous waste under Subtitle C is clearly justified by the science and will better protect water resources from toxic coal ash impacts," Lisenby said. "The industry-backed option of regulating coal ash as household waste under Subtitle D is not sufficient to keep arsenic, lead, chromium, cadmium and other toxic heavy metals from contaminating water." The proposals will be turned over to the public for a 90-day comment period and one or more public and stakeholder hearings, after which the EPA will announce a decision. "I would want communities to know that I believe, that EPA believes, it is very important to get on with this regulatory process," said Jackson. "There has been lots of discussion already. We've heard from elected officials, from members of congress, from state governments, from private industries. I'd like to hear from public citizens about what they think is the most effective rule." 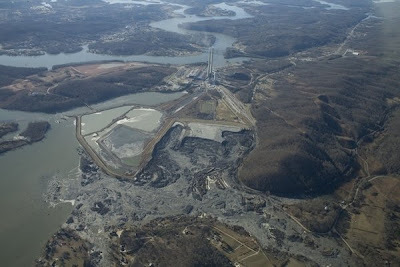 In December of 2008, one billion gallons of toxic coal ash burst through a dam near a Tennessee Valley Authority power plant in Kingston, Tenn., polluting the Clinch and Emory Rivers and launching the safety of coal ash into the national environmental debate. The public can make comments on the coal ash regulations, docket #EPA–HQ–RCRA–2009–0640, at www.regulations.gov.